Speaking on BBC South East Today, Mark Reckless MP calls for greater co-operation between UK and French authorities to tackle the build up of asylum seekers and economic migrants in Calais. 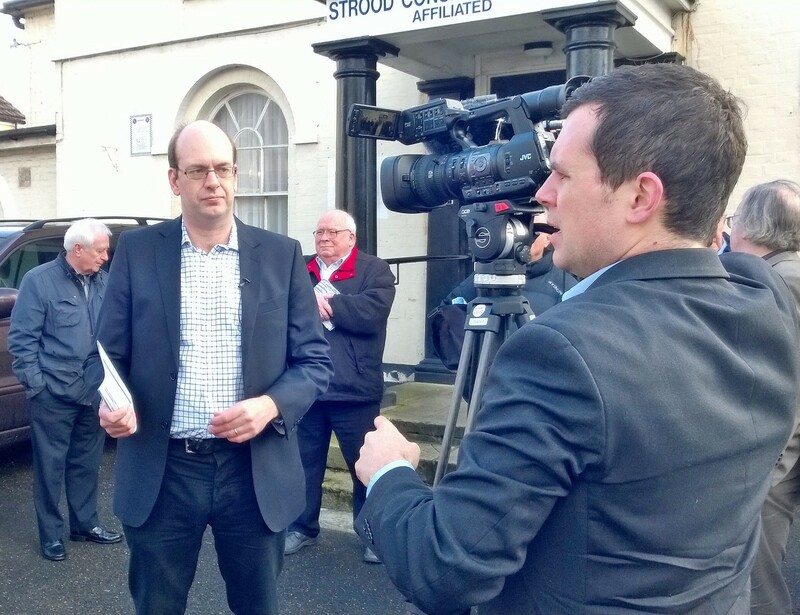 Speaking on BBC South East Today on 18th June 2014, Mark Reckless, MP for Rochester and Strood, has called for greater cooperation between British and French authorities to tackle the growing numbers of migrants arriving in Calais seeking entry to the United Kingdom. Coverage of yesterday’s labour market statistics showed the Westminster political/media nexus at its worst. Rather than focus on close to three-quarters of a million more people getting work, the Westminster ‘narrative’ for politicians and journalists was instead about thousands of Romanians and Bulgarians supposedly having left the country. Their basis for this essentially fictitious story was a less than 3% change in a 0.4% subset of the Labour Force Survey (LFS). Not one of the politicians and journalists leaping to conclusions seems to have read even the two paragraph Executive Summary of the ‘Information paper’ published by the Office for National Statistics (ONS) on using the LFS. The first line states ‘The primary purpose of the LFS is “the prompt publication of key aggregate, whole economy, indicators, for the integrated assessment of labour market conditions”‘. Its purpose is manifestly not to conclude how many Bulgarians or Romanians are entering or leaving the country in a particular quarter. The ONS Information paper Executive Summary continues “Output from the LFS is quarterly since 1992. Each quarter’s sample is made up of five waves at three-monthly intervals. The sample is made up of approximately 41,000 responding UK households per quarter. Respondents are interviews for five successive waves at three-monthly intervals and 20% of the sample is replaced every quarter”. So, this survey cannot possibly tell us how many Romanians and Bulgarians started working in the UK during the first quarter of this year, since four-fifths of the UK households surveyed were recruited to the survey last year, before we removed restrictions on Romanians and Bulgarians working here. Moreover, to try to produce accurate information about the approximately 30.43 million people recorded as working, the ONS aims to undertake 41,000 surveys, a 0.13% sample. That is fine for estimating that 722,000 more people are in work than a year before, since the 0.13% of that 722,000 they have sampled equates to around 1,000 survey responses. We must though recognise that we don’t quite know that 722,000 more people are in work, due to random sampling error, but we can be pretty certain that the increase was somewhere between 650,000 and 800,000. It is not however fine to use this survey to say that 4,000 Romanians and Bulgarian have left the country since the margin of error will be many, many times larger than the number cited. We can see this if we multiply that 4,000 by the 0.13% sample size. We discover that the past day’s news cycle about a supposed exodus of Romanians and Bulgarians from the country has been based on the survey response of just five people. I tried my best to puncture this absurd media/political bubble on Newsnight last night. Speaking on BBC’s South East Today, Mark Reckless, the MP for Rochester and Strood, has called on the French authorities, including the newly elected Mayor of Calais, to take a tougher line on illegal immigrants entering the UK. Mark’s call follows a special BBC South East report which highlighted the increasingly dangerous and desperate lengths which migrants were willing to go to in order to gain illegal entry into the United Kingdom, including balancing precariously on the axles of moving lorries travelling to Britain. Nobody in the UK has had a say on our membership of the EU since 1975. My constituents will now be the first to have a vote in a local referendum. Since being elected in 2010 I have worked hard to represent all of the people in my Rochester and Strood constituency, irrespective of who they backed at the election, and notwithstanding how party whips may have wanted me to vote. I have consistently campaigned for an In/Out EU referendum, even when it was unfashionable, and I was delighted when we finally succeeded in making it Conservative party policy. My view on our membership is unambiguous. I have argued against our EU membership for my whole adult life, spearheaded campaigns such as the People’s Pledge for a referendum on EU membership, and triggered the vote in Parliament for the first ever cut in the EU Budget. I will, when given the chance, vote for the UK to leave the EU. I believe that Britain should be an independent country, trading with Europe, but governing ourselves and controlling our borders. With the latest ONS figures showing net migration up to 212,000, including a doubling of net migration from the EU up to 130,000, and Angela Merkel saying free movement must be sacrosanct, we may all soon have to accept that if we are to cut immigration as we have promised, then this can only be achieved if we leave the EU and take full control of our own immigration policy. People feel that the EU is heading in a direction they never signed up for, which is why I believe my constituents deserve a say. A Conservative majority government would deliver that In/Out referendum in 2017, irrespective of the outcome of any attempted renegotiation (or perhaps now merely ‘reform’) of the EU. It is now surely a question of ‘when’ rather than ‘if’ the British people as a whole will vote on whether they want us to be part of an ever closer European Union or an independent country. I am proud that my constituents will be the first in the country to have the chance to cast such a vote. Within the next few days every resident in the Rochester and Strood constituency will have been sent a ballot paper, complete with a freepost return envelope, asking the question “should the United Kingdom be a member of the European Union?” – Yes or No. My views are well known, but I have sought to present the referendum materials neutrally, and I am but one voter, with tens of thousands now having a chance to make their voice heard on this crucial issue. The campaign, which we launched on Saturday has been positively received locally with constituents clamoring to have a say. The moment the referendum was announced I was inundated with messages from people making sure they didn’t miss the opportunity to take part – including many who weren’t in my Rochester and Strood constituency, but would love the chance to take part in something similar where they live. 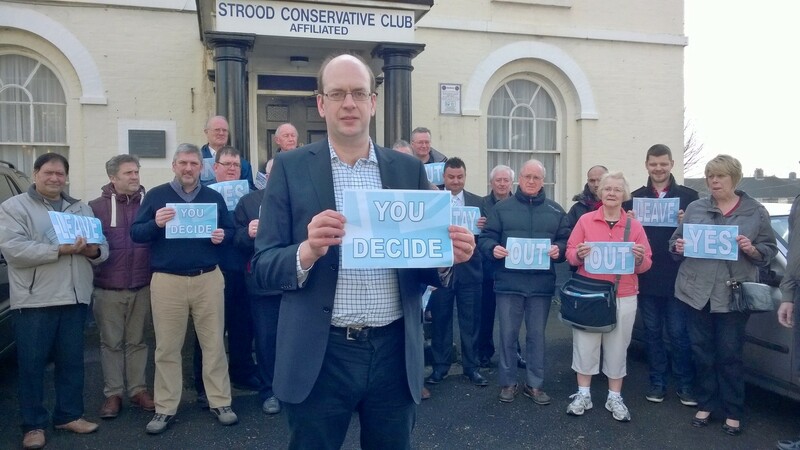 This enthusiasm was matched by the many activists – old and new – who joined me at Strood Conservative Club to launch the campaign and help deliver the ballot papers. Though my expectation is that most of my constituents will vote to leave, the most important part of this exercise is not so much the result itself but that it is in the hands of the people. This kind of choice is not something that Labour or Liberal Democrats politicians want us to have. For them there is no greater danger than trusting the people. Just look at their shameful behaviour as they talked out my colleague James Wharton’s EU Referendum Bill. On this issue let us be in no doubt of the disdain these other parties have for the public and a majority of their own voters, who for far to long have been denied the chance to decide once and for all who governs us. That is why as someone who has fought for this vote my whole adult life I wanted to give my constituents – irrespective of party affiliation – the chance to vote on whether the United Kingdom should be a member of the European Union. If Rochester and Strood leads the way, then hopefully many others will follow. There has been some commentary recently on loyalty and rebellions in the Conservative party. I want to explore some of the reasons and consequences. Today I wish to dispel the wrong notion put around by some commentators that the rebellions are by the old and grumpy in the Conservative Parliamentary party, sitting in safe seats with no hope of preferment or recognition by the present leadership. We read that this small group of malcontents rebel and disrupt, causing difficulties for everyone else and making it more difficult for people in marginal seats. The briefing usually distinguishes between the 2010 intake, the future, and the rest, implying it is some of the rest who are the problem. This simply is not the case. I define a major rebellion as a case where a group of MPs votes against a 3 line whip on a motion or piece of legislation that the Conservative leadership and whips say is important, and where the rebels can change the government’s stance as a result. There have been four such large rebellions in this Parliament, with the amendment to the Immigration Bill to continue last year’s arrangements for Romania and Bulgaria also a possible major rebellion depending on what happens next. 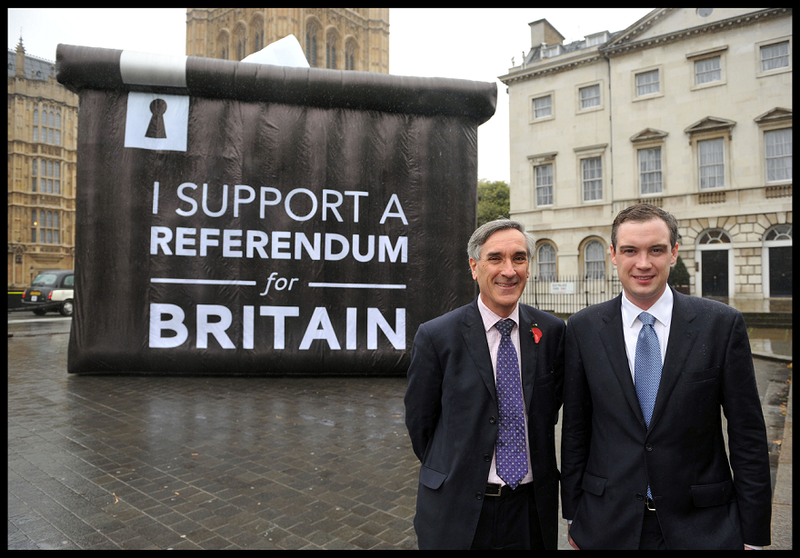 24 October 2011 David Nuttall proposed a referendum at a time when it was not official Conservative policy. The 81 Conservatives who voted for his proposal helped make it Conservative policy later to hold a referendum. 10 July 2012 Jesse Norman led the opposition to a certain type of Lords reform which the Coalition government wanted. 91 Conservatives voted for his rejection of the government changes, and the proposals were dropped by the government. 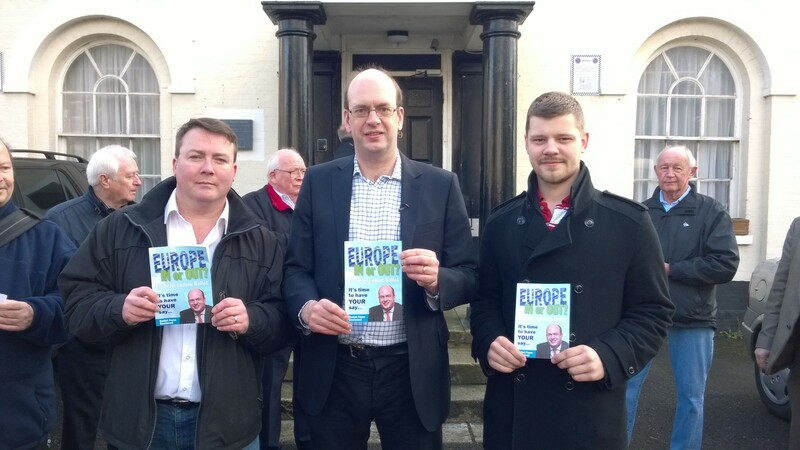 31 October 2012 Mark Reckless proposed a cut in the EU budget and helped defeat the government, with 53 Conservative MPs voting for his proposal. The government has now arranged a lower EU budget than planned. Andrew Bridgen led the opposition to military engagement in Syria by organising a letter to the PM requesting a vote, signed by 81 Conservatives. A vote was granted leading to the defeat of the government’s policy and a new government policy opposing military intervention. He did not himself vote against on the eventual Commons vote which was held, as the government had by then changed the motion to exclude authorising the use of force so the case was already won. Currently Nigel Mills with 74 Conservatives has proposed an amendment to the Immigration Bill. These are all talented MPs who might have become Ministers had they chosen a different approach to this Parliament, and may well be Ministers in future. They are by no means old. They are recently elected MPs, with ages from 39 to 52. They are not grumpy or pessimistic. They just believe in things and are seeking to represent their constituents and the values of their party. Those who write in general terms about rebellion should remember the names and backgrounds of the leading rebels. They should also take into account that most Conservatives prefer the policies which these rebellions triggered. Most of us are far happier proposing a referendum on the EU than not, happier seeking a smaller EU budget rather than a bigger one, and pleased that the UK did not go to war in Syria.